Sri Lanka and New Zealand today (24) signed a partnership arrangement for the Sri Lanka Dairy Excellence Training Initiative between the Sri Lanka Ministry of Rural Economic Affairs and the New Zealand Ministry of Foreign Affairs and Trade under the Dairy Cooperation Arrangement (DCA) , which was signed in November 2013. 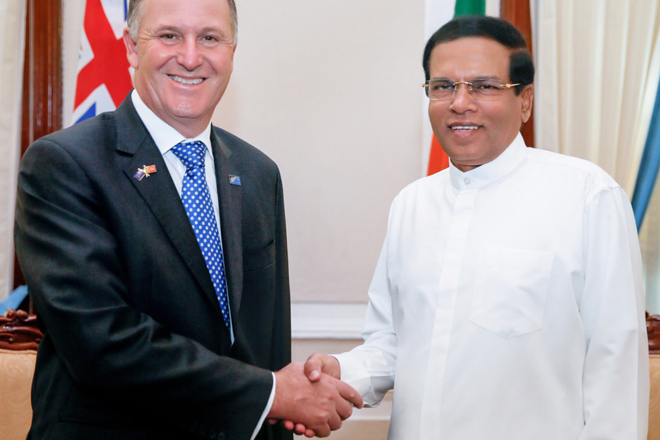 The agreement was signed following bilateral talks between President Maithripala Sirisena and the visiting New Zealand Prime Minister, John Key. Under the framework of the DCA the partners have jointly decided to support the Sri Lanka Ministry of Rural Economic Affairs’ Department of Animal Production and Health to transform and strengthen its capability to deliver dairy development extension services, enabling it to improve the productivity of its small holder dairy farming clients, through the Sri Lanka Dairy Excellence Training Initiative. Secretary, Ministry of Rural Economic Affairs, Daya Ekanayake signed the MOU on behalf of the Government of Sri Lanka and New Zealand High Commissioner to Sri Lanka, Grahame Morton signed on behalf of the New Zealand Ministry of Foreign Affairs and Trade. A Letter of Intent was also signed to gift a second baby elephant to Auckland Zoo. 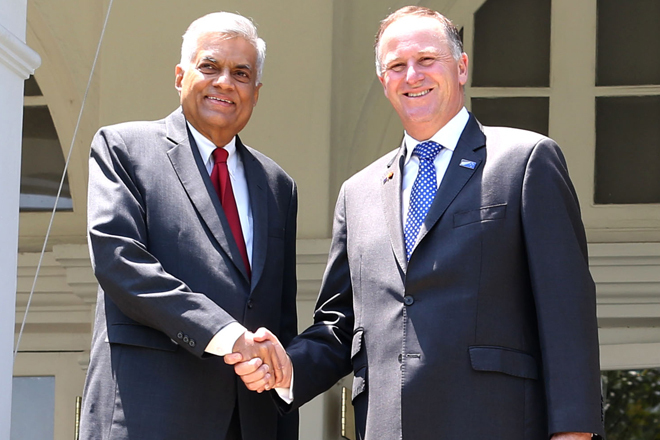 Sri Lanka has already gifted a baby elephant to New Zealand.